Elizabeth Axelson, Siobhan Donnelly, and Natalie Creamer are interns in the office of public affairs and marketing at Freer|Sackler. 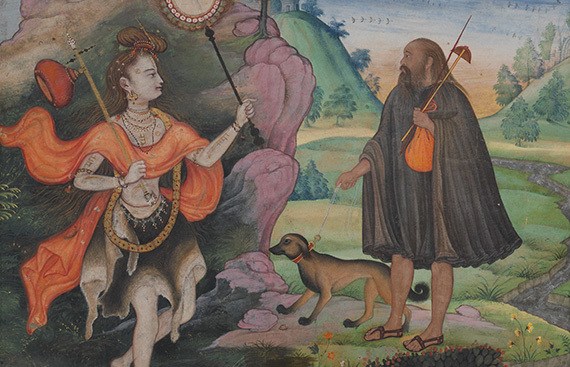 On May 29, we celebrated the launch of our first crowdfunding campaign, a month-long effort to support Yoga: The Art of Transformation, the world’s first exhibition on yogic art. During the event, we talked to guests about their passion for yoga and what transformation means to them. Finally, we asked Sara VanderGoot, cofounder and owner of the local Mind the Mat Pilates & Yoga studios, what transformation meant to her. Her definition, she answered, is “being present in every moment and knowing that we are always in transformation.” As someone very involved with yoga, she said she was excited that the exhibition will expose the public to the history and other aspects of yoga. Visit our website to learn more about the campaign, or email us at yoga@si.edu to see how you can get involved.